Click on map to switch between Regional and Local Maps. 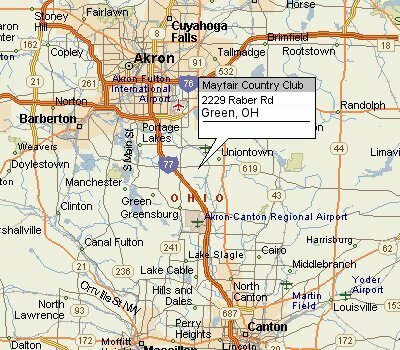 From Akron, take I-77 south to Exit 118. Turn left and go 1/4-mile to Raber Road.